Ok, we gave up. 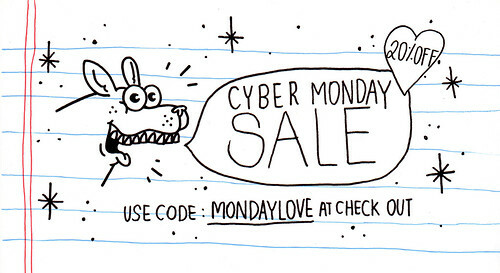 Cyber Monday is ON! 20%OFF anything, yes even original art! This entry was posted in HIGH IN THE BAY and tagged diy, high in the bay, sale. Bookmark the permalink.